My normal hair color is black and the hair strands are thick and naturally wavy. But ever since I started working, I found the beauty of hair color and how it can instantly transform a person's look to a much softer one, especially if you choose the right shade for you. Hence, I have been having my hair colored for a long time now. I also discovered the wonders of using hair styling tools, which makes my look more polished and relaxed versus my #Iwokeuplookinglikethis hair. 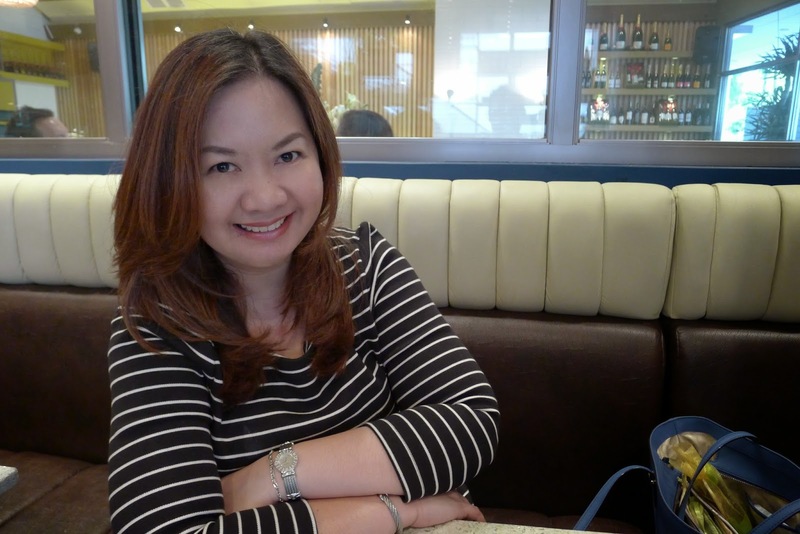 Since having my hair colored and styled everyday subjects it to damage, I am always on the look out for new hair treatments and products to test. 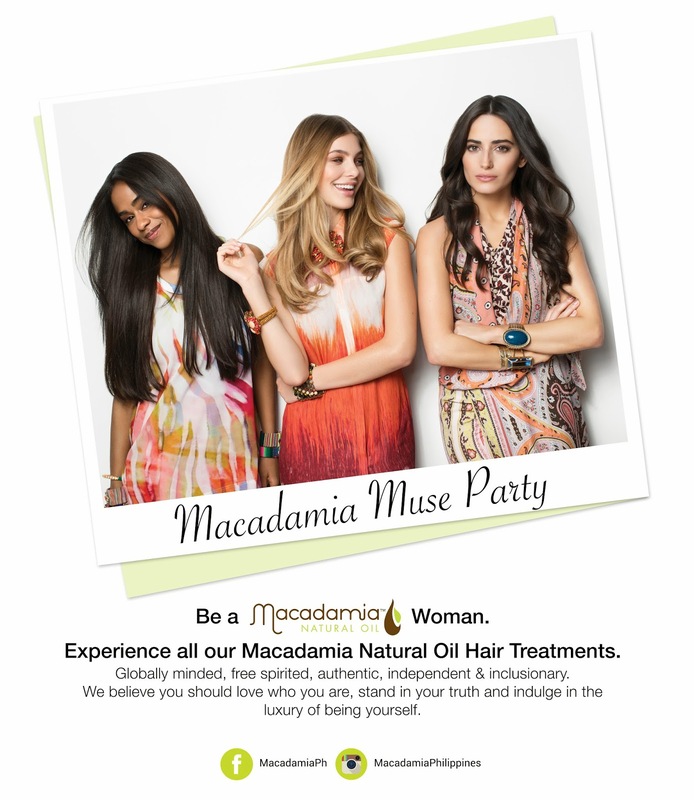 It's a good thing I got an invitation to Macadamia Natural Oil's Muse Party! Now, who doesn't love a beauty themed party? Count me in! 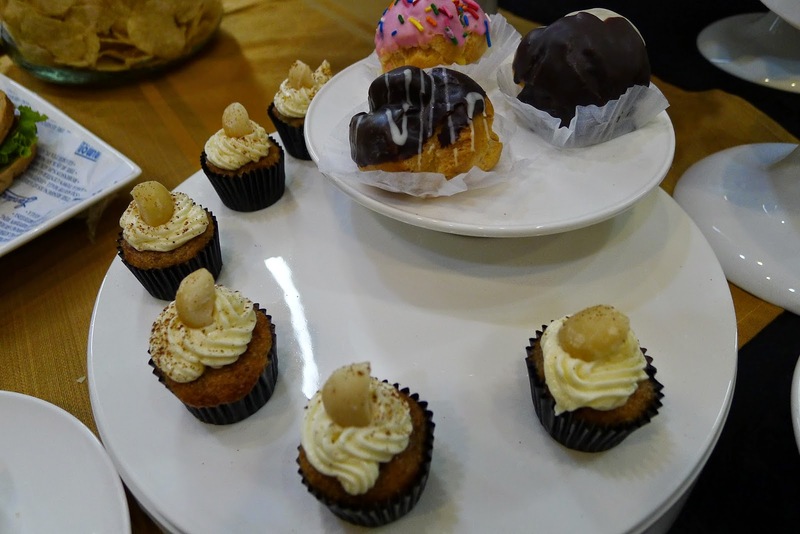 The Macadamia Muse Party was held at the newly opened and super posh 400 square meter Piandre Salon at Bonifacio Global City at Two Parkade, 30th Street corner 7th Avenue, Bonifacio Global City. I was asked what treatment I would like for my hair at the party and I chose the "Damaged no more treatment" - This treatment is for the Macadamia Muse who has dry, damaged and/or chemicallly treated hair. A quick fix for long time hair problems. You can bring back your hair's natural shine and beauty with this treatment. The process started with a Rejuvenating Shampoo, followed by the application of a Deep Repair Masque, and lastly a Healing Oil Treatment. The price range for any Macadamia Natural Oil Hair Treatment is from Php 900.00 to Php 1,350.00 (depending on your hair length). I love that the entire hair treatment process just took an hour to finish. 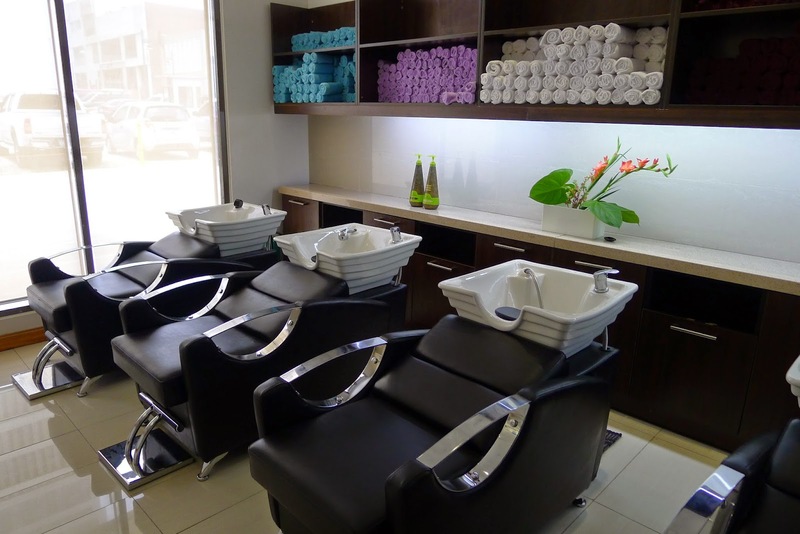 If you have a busy schedule, you can just squeeze in an appointment at any Piandre Salon Branch near you and be finished by the end of the lunch hour. You'll also come out feeling relaxed due to the back massage, that comes with the treatment. As of this writing, it has been 3 days since the treatment and my hair is still softer and much shinier now than it was before the treatment. I also love that Macadamia Natural Oil products are Color Safe, Sulfate Free and Paraben Free. It is the healthier more natural hair care/treatment/styling choice, and I also don't have to worry that it will make my hair color dull. The products used for my treatment: The Rejuvenating Shampoo, the Healing Oil Treatment and the Deep Repair Masque. 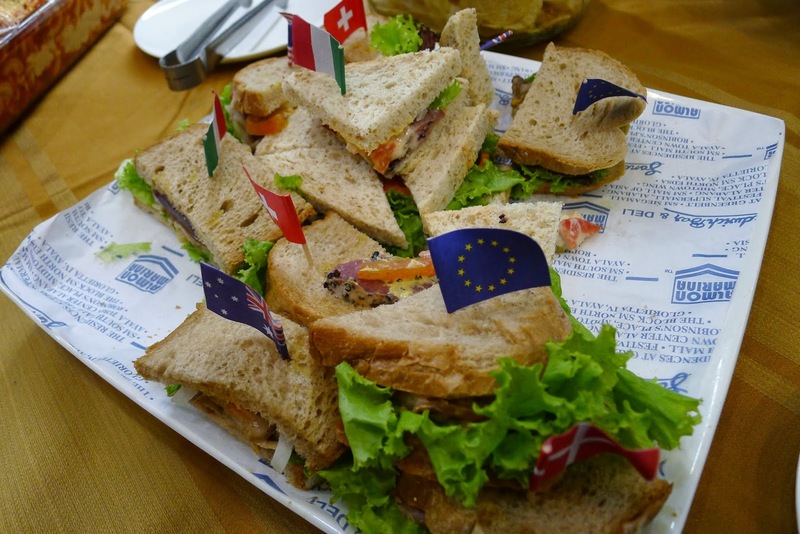 ...of course the party won't be complete without these quick bites. "Our goal as a professional beauty company is to make every woman fall in love with the hair they are born with no matter the hair texture" - Scott Smith. I absolutely love my newly treated hair! 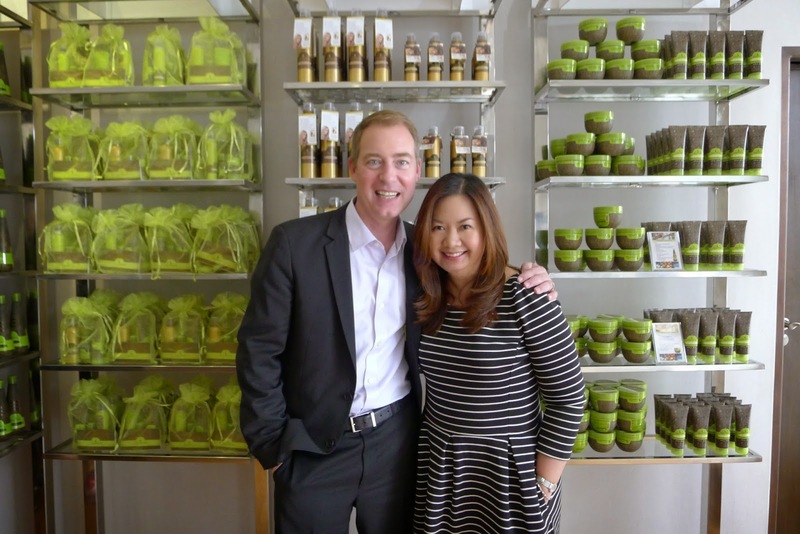 What is the Macadamia Natural Oil Story? 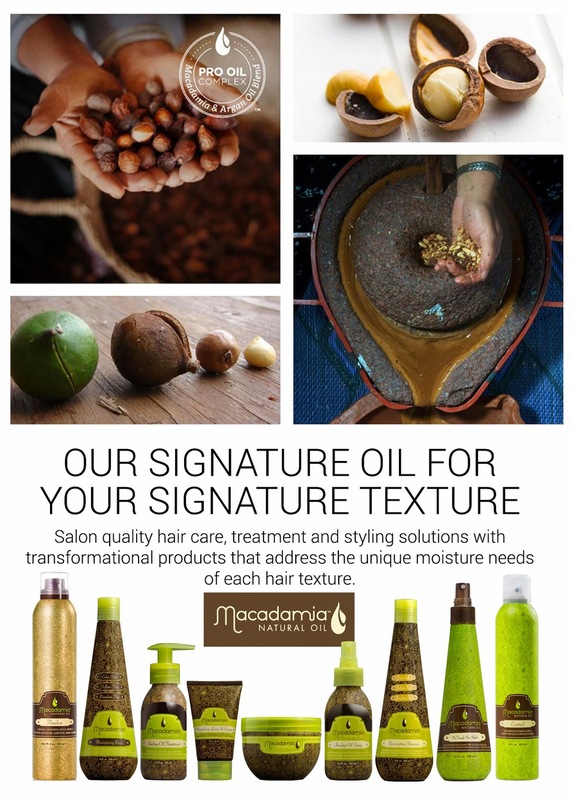 Macadamia Natural Oil, the oil authority for global textures, was inspired by extensive travels throughout the far reaches of the globe that led to one key insight - All global textures, from baby fine to ultra curly and coiled, have unique moisture level and style control needs. To address these needs, Macadamia Natural Oil products contain an exclusive Pro Oil Complex, a blend of therapeutic Macadamia and Argan oils, rich in Omega 7, 5, 3 and 9 fatty acids, which deeply yet weightlessly nourish and repair hair from the inside out, rather than just conditioning from the surface, to renew hair’s natural texture. Macadamia Oil contains the highest amount of Omega 7 than any other nut oil. Omega 7 most closely resembles human hair sebum and thus mimics scalp’s natural oil production to provide nourishment and moisturization with exceptional absorption and penetration from the inside out. Plus, Omega 7 is exceptionally lightweight and non-greasy with no buildup, which makes it ideal for All global textures, from the finest to the coarsest hair. Argan Oil is a rich oil filled with Omega 9, antioxidants and Vitamin E, which improves hair strength, renews damage and restores shine and softness to dry, brittle hair while reducing frizz and fly-aways. When blended together, hair’s natural texture is transformed with renewed health, shine, bounce and manageability. 1. Flawless Cleansing Conditioner is a revolutionary product that cleanses and conditions, provides style control and reduces blow dry time all in one product. Flawless recreates the perfect salon blow dry at home. How to use: Rinse hair for one minute with warm water. Apply one to two pumps to wet hair starting from the scalp working through to the ends. Add more water to assist with the disbursement of the product if needed. Rinse thoroughly. 2. Macadamia Moisturizing Rinse is a daily conditioner that gently nourishes, detangles, moisturizes and protects leaving hair soft, manageable and ready to style. How to use: After cleansing with Macadamia Rejuvenating Shampoo, work Moisturizing Rinse throughout hair, from roots to ends. Leave in for 30 – 60 seconds. Rinse thoroughly. 3. Macadamia Healing Oil Treatment is a therapeutic hair oil for all textures that instantly absorbs into hair and scalp, weightlessly infusing moisture, softness, protection and shine. Especially beneficial to hair in need of hydration. How to use: Dispense a quarter size of oil and emulsify between palms. Comb through for even distribution. Apply to clean, damp hair or dry hair. Let hair air dry or blow dry. 4. Macadamia Nourishing Leave-In Cream is a leave-in texturizing cream for taming unruly, difficult to manage hair. How to use: On clean, damp hair, apply a small amount to scalp and run through ends. Focus application from mid-shaft to ends. Let hair air dry or style as usual. 5. Macadamia Deep Repair Masque is a hair reconstructor that penetrates and rebuilds damaged hair for improved health, shine and elasticity with no weigh down. Ideal for dry, damaged or color-treated hair of all textures. How to use: For extra intensive repair or for extremely damaged or fragile hair, add 2 pumps of Healing Oil Treatment to Deep Repair Masque, mix and apply. Cap the hair and place under heat for up to 15 minutes. Rinse and style. 6. Macadamia Healing Oil Spray is an ultra-fine mist that instantly absorbs into hair, weightlessly infusing moisture, shine and manageability. Ideal for finer hair textures. How to use: Hold bottle 8 inches from hair and spray. Comb through hair for even distribution. Spray into either clean, damp hair or dry hair. Let hair air dry or blow dry. 7. Macadamia Rejuvenating Shampoo is designed to add moisture and protection to all hair types and is excellent for dry, damaged hair. How to use: Apply to wet hair and massage the scalp and roots with fingertips to work into a lather. Rinse thoroughly. 8. 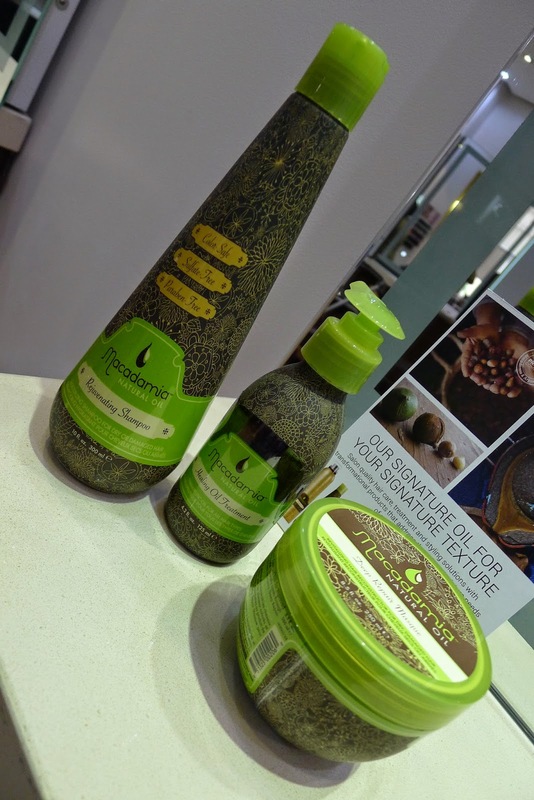 Macadamia No Tangle Pre-Styler moisturizes hair and effortlessly eliminates tangles on contact. Suitable for all hair textures to protect hair from the hazards of combing, heat styling and UV exposure. How to use: Spray liberally onto towel dried hair. Comb through with Macadamia No Tangle brush. Do not rinse out, style as usual. 9. Macadamia Control Working Spray is a brushable spray that gives lightweight hold and a touchable finish. Hair of all textures is left frizz-free, full of shine and movement with no sticky residue. Great for finer hair to hold style throughout the day. How to use: Spray onto hair for light to medium hold. Reapply as desired for additional firmer hold. For additional volume, spray onto root area before blow drying. Piandre Salons! 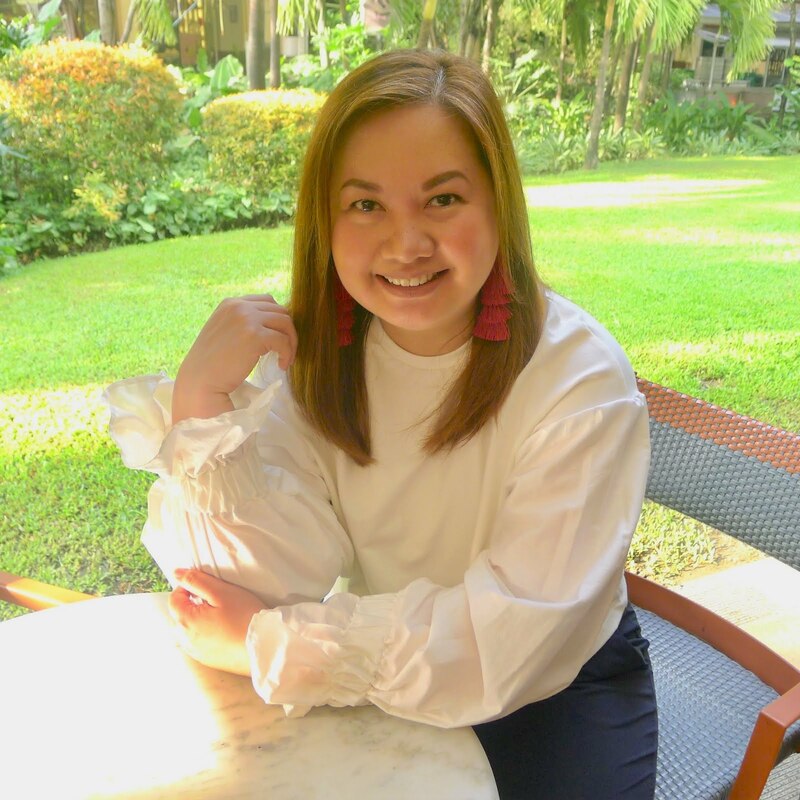 To find out more about Macadamia Natural Oil, visit www.macadamiahair.com, follow them on Instagram and Facebook (@macadamiaph). the Piandre branch nearest you. Bonifacio Global City. For inquiries and appointments call (+63-2) 553-4014, (+63-2) 519-9962. Salon hours are from 7:00 am to 9:00 pm (Monday to Saturday) and 9:00 am to 5:00 pm (Sunday).